Barcelona is the second largest city in Spain, after Madrid. It is located on on the northeast of the peninsula, in the Mediterranean coast. Work to complete this great church still continues today. The first architect to work on this project (Francisco de Paula) originally planned a Neogothic building. However, following his death, Gaudí took over (1883), and while conserving the original layout he soon left his own personal imprint and distinctive style on the building. 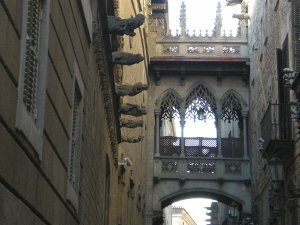 The Gothic Quarter is the centre of the old city of Barcelona. Stretches from La Rambla to Via Laietana, and from the Mediterranean sea front to Ronda de Sant Pere. 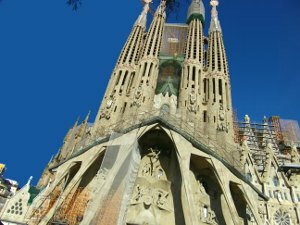 Many of the buildings date from Medieval times and the Roman settlement of Barcelona. It retains a labyrinthine street plan, with many small streets opening out into squares. Location: From La Rambla street to Via Laietana, and from the Mediterranean sea front to Ronda de Sant Pere. La Barceloneta is a neighborhood that was constructed during the 18th century. It is roughly triangular, bordered by the Mediterranean Sea. 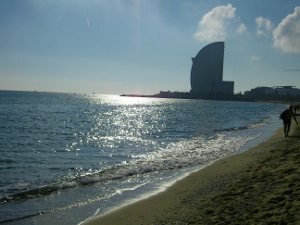 Barceloneta beach gained status as the best urban beach in the World and total third best beach in the World. 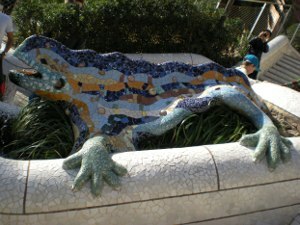 The Park Güell is a garden complex with architectural elements. 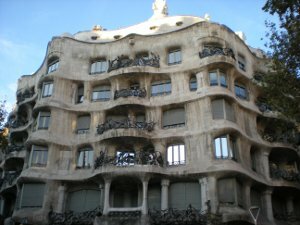 It was designed by Antoni Gaudí (1900 to 1914). It is part of the UNESCO World Heritage Site. 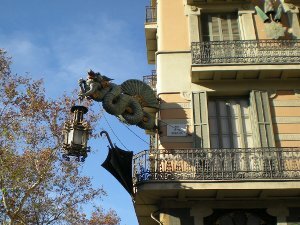 The Paseo de Gracia is both one of the major avenues in Barcelona and also one of its most important shopping and business areas. Casa Batlló and La Pedrera (or Casa Mila) are two great buildings designed by Antoni Gaudi on Paseo de Gracia (1904-1910). La Rambla is a street in central Barcelona, popular with both tourists. A 1.2 km (0.74 mi) long tree-lined pedestrian mall between Gothic Quarter and El Raval. 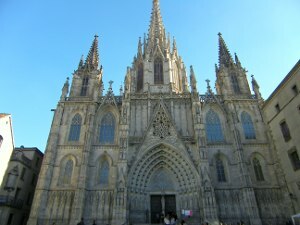 The Barcelona Cathedral is a Gothic cathedral. It was constructed throughout the 13th to 15th centuries, with the principal work done in the 14th century. The neo-Gothic façade was constructed over the nondescript exterior that was common to Catalan churches in the 19th century. The roof is notable for its gargoyles, featuring a wide range of animals, both domestic and mythical. 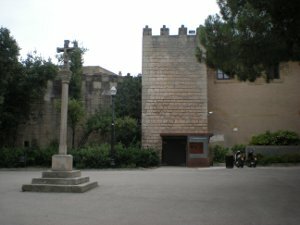 The Poble Espanyol ("Spanish Town") is an outdoor architectural museum, located on the mountain of Montjuïc. It was constructed in 1929, for the International Exhibition. It is a town in which the architecture, style, and culture of various locations from around Spain were preserved in a single place. The aim was to produce an "ideal model" Spanish village, a synthesis of monumental Spain. 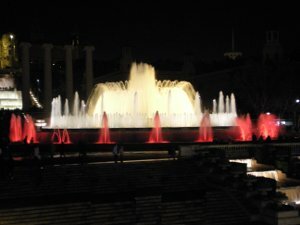 The Magic Fountain is a fountain located at the head of Maria Cristina Avenue (Montjuïc). It was constructed for the 1929 Barcelona International Exposition. FC Barcelona Museum And Nou Camp Stadium. It is a football stadium. 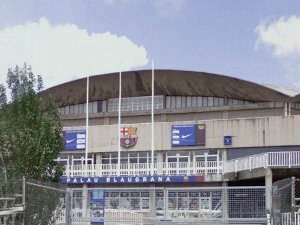 The stadium, located in the west of the city, has been the home of FC Barcelona since its construction in 1957. The Museu Picasso has one of the most extensive collections of artworks by the 20th century Spanish artist Pablo Picasso. 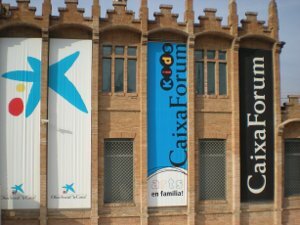 This is one of the most popular and most visited museums in Barcelona. 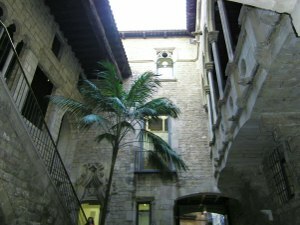 The museum is housed in five adjoining medieval palaces in Barcelona's La Ribera. CosmoCaixa (or Science Museum of Barcelona) is a science museum. The museum features a variety of exhibitions, permanent and temporary, that showcase the environment, nature, science, and space. It also has a planetarium. 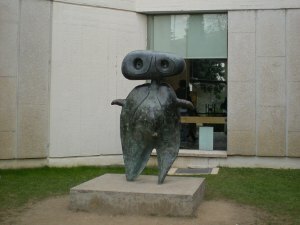 The Joan Miró Foundation is a museum of modern art honoring Joan Miró and located on the Montjuïc district. 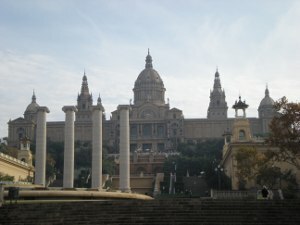 The Museu Nacional d'Art de Catalunya is the national museum of Catalan visual art located in Barcelona. Situated on Montjuïc hill.